Gordie’s was founded in 1970 when Gordie Peterson leased the original location from Standard Oil Company on the corner of Hwys 14 and 61 . That location closed in 1988. Along the way, the Huff location was purchased by Gordie and later sold in 1996 to his son, Jeff, who manages daily operations today. 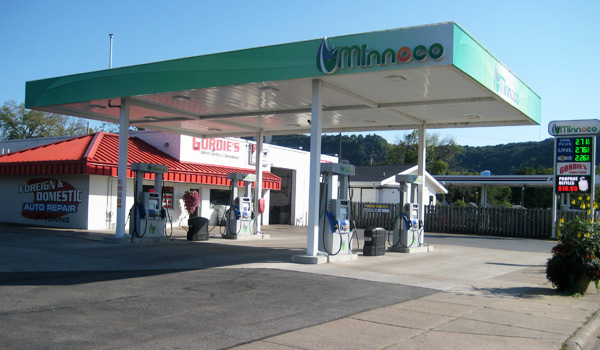 A lot has changed over the years (there were 13 service stations in Winona in 1970), but our commitment to our customers has not changed. We value integrity and personal relationships. Our goal is to treat each vehicle like it belongs to our mother. Let the good guys at Gordie’s get you going!